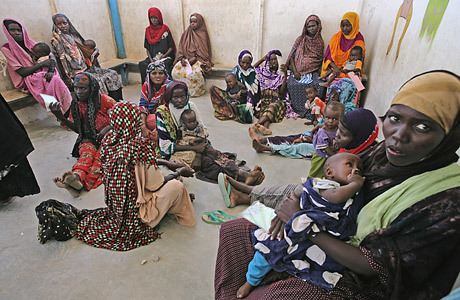 Displaced Somali women and children rest in a refugee settlement in Bossaso, Puntland, Somalia. Infighting in Somalia has been so bad for so long that reader  and editor  fatigue set in years ago. Which is why many Americans were surprised to hear that more than 1 million Somalis had fled their homes in 2007 in a refugee crunch whose scope and severity rival that of Darfur. "We have a major crisis," Ahmedou Ould-Abdallah, the top U.N. envoy for Somalia, told TIME. "And it's being ignored." The violence hampering humanitarian efforts has also kept U.N. forces at bay. It's a Catch-22, Ould-Abdallah says. "We cannot go there because there is no security, and because we don't go there, there isn't security."